Questions, or need help deciding? Contact Volunteer Coordinator, Stefanie Myer. Please complete this form and select "Register" at the bottom to submit. I own or know of a business that can sponsor Wing Haven events. I have or know of a potential garden for the Gardener's Garden Tour. Please list other areas not provided above how you can help volunteer. Thank you! 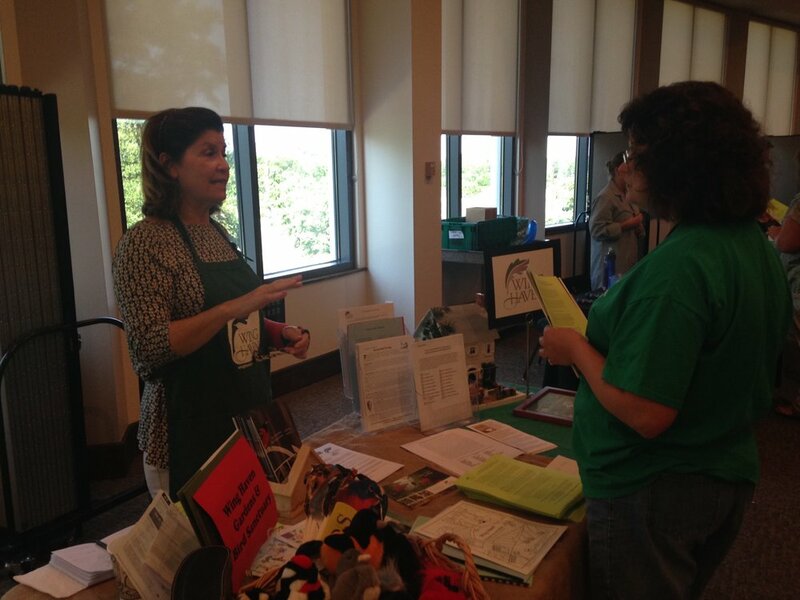 Stefanie Myer, our Volunteer Coordinator, will be in touch with you about your volunteer interests. Drop-in Volunteers: Work with gardeners on the task of the day. Time: 9am-11am Saturdays year round, Wednesdays during summer months. Herb Garden: Join this lively group to help care for the area in front of the Clarkson Home and Mrs. Clarkson’s Herb Garden while making new friends that share this interest. Times: Two Thursday mornings a month. 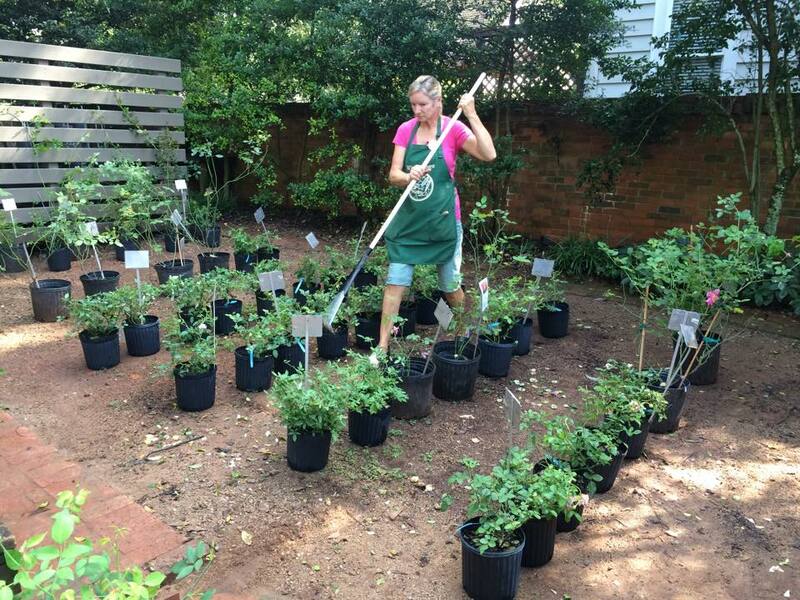 Rose Garden: Work alongside Wing Haven Garden & Bird Sanctuary gardening team to care for a special heirloom rose garden. Times: First and third Wednesday mornings each month. s.e.e.d Garden Group: Maintain the whimsical plantings and exploratory gardens and outdoor learning space of our new hands-on s.e.e.d wildlife garden and children’s garden at Wing Haven. Times: First and Third Thursdays, 10am-12pm; and second and fourth Saturdays, 8am - 10am. Elizabeth Lawrence Garden: Do you like to learn? Work closely with the Elizabeth Lawrence Garden Curator to maintain this beautiful garden that serves as an amazing laboratory of blooms and greenery. Times: Thursday and Saturday mornings. Nursery: Calling all plant enthusiasts, or those who want to learn more! Come make new friends, learn a ton, and help with one of Wing Haven’s fundraisers. You do not need to be a gardener to help. Join us as we work in the Nursery to plan, implement, and staff our biannual Plant Sales in October and April. Times: Every Tuesday morning, March through October. 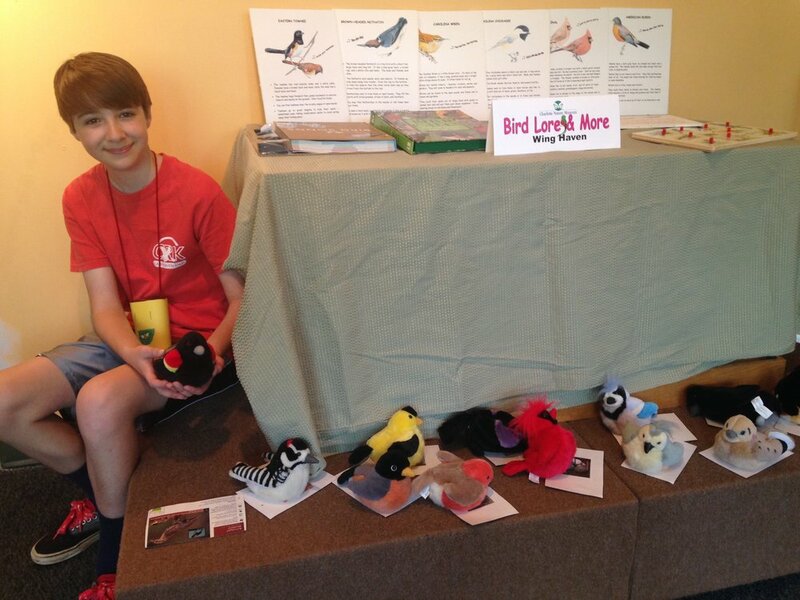 Birding: Facilitate birding programs and events, sharing your ornithological passion! 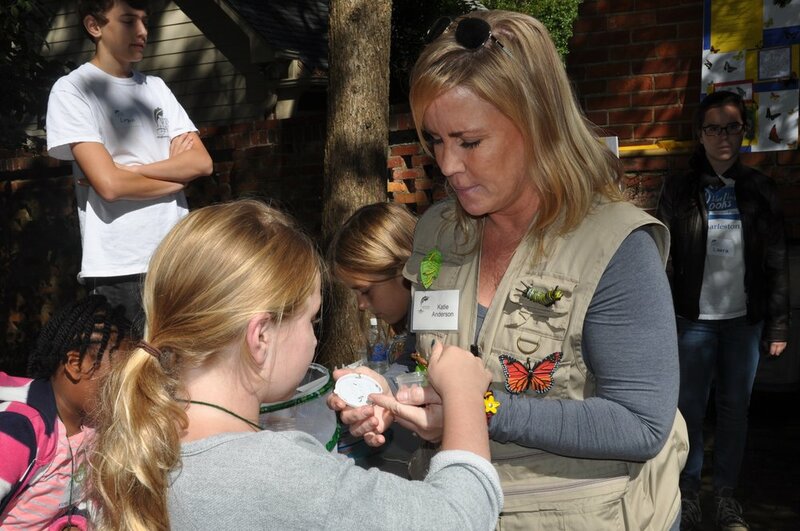 Times: Weekday and Weekend times; specific events or programs include: Camp Wing Haven, Girl Scout Badge Day, Senior Bird Walk, Connect with Culture Day, Great Backyard Bird Count and more!). 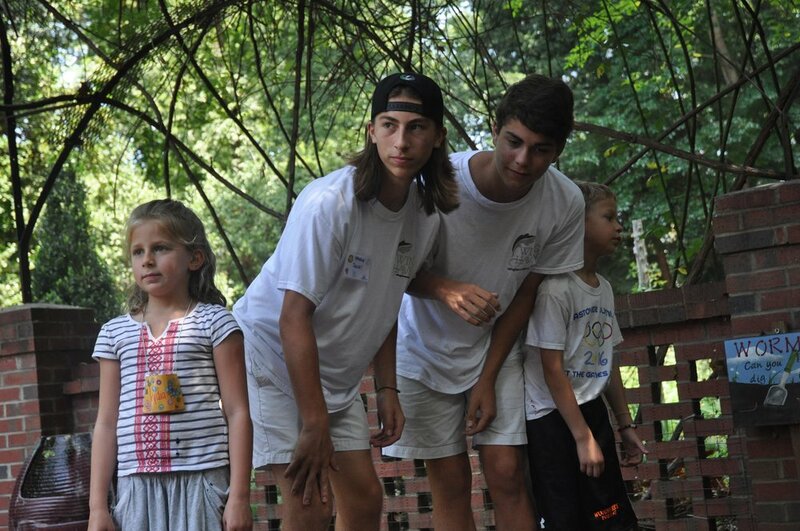 Camp Wing Haven Counselors/Helpers: Available to all youth, age 12 and up; serve as a camp helper (grades 7-8) or camp counselor (grades 9-12) during our week-long Camp Wing Haven, which is an outdoor nature-themed camp for ages 6-11. Time: Daily Monday through Friday, 8:00 am - 5:30 pm, for each camp session; 2019 dates are June 17-21, July 22-26, August 19-23. Possible half-day shifts available. Children’s Tour Docent: Share your passion for gardens, birds, and a little bit of Clarkson history leading groups of children (preschool through 12th grade) through the Wing Haven Garden & Bird Sanctuary 90-minute tour experience. Training required. Times: Weekday tours as needed. Events & Programs: Work directly with children to facilitate monthly story time, join in on crafts during a seasonal event, dig in the dirt facilitating a camp program, or doing the behind-the-scenes preparation to make our programs happen. Times: Weekday and weekends as needed. PEEPs (Preschool Environmental Education Program): Continue the legacy of education and outreach as a PEEPs facilitator for at-risk preschool children visiting Wing Haven Garden & Bird Sanctuary. The nature-themed curriculum includes a story, garden walk, hands-on activity, and healthy snack. Training Required. Times: Standing weekday commitment each month, October through May, required. Skilled Facilitators: Serve as a volunteer educator in area of expertise for our biannual Girl Scout Badge Day or summer Camp Wing Haven. Times: Weekday and Weekend opportunities; see event page for dates. Adult Tour Docent: Are you a storyteller? Serve as a tour guide for groups visiting the gardens. Training is required, so you will know all about the wonder that is Wing Haven - our history, plants, birds and other unique facts - and share that knowledge with others. Times: Assigned weekday tours as needed. Events & Programs (family or adults only): Setting up, greeting, assisting with social events, educational programming, and seasonal happenings. Times: Weekday and weekends as needed; see event page for dates. Gardeners’ Garden Tour: Get to know Charlotte’s best private gardens (and the gardeners who created them) every year in May. Greet garden tour guests, check tickets and answer questions at the gardens. Many hands are needed and volunteers receive a free ticket. Times: One weekend in May, 4-hour or 5-hour shift. Host /Hostess: Greet Wing Haven visitors during regular garden open hours from the Clarkson Home or the Elizabeth Lawrence House, and give them the tools they need to enjoy a self-guided tour through both of our gardens. If a regular time slot each week/month suits your schedule, this is the opportunity for you. Times: 4-hour shifts during garden open hours, Wednesdays - Saturdays, 10am-5pm. s.e.e.d. 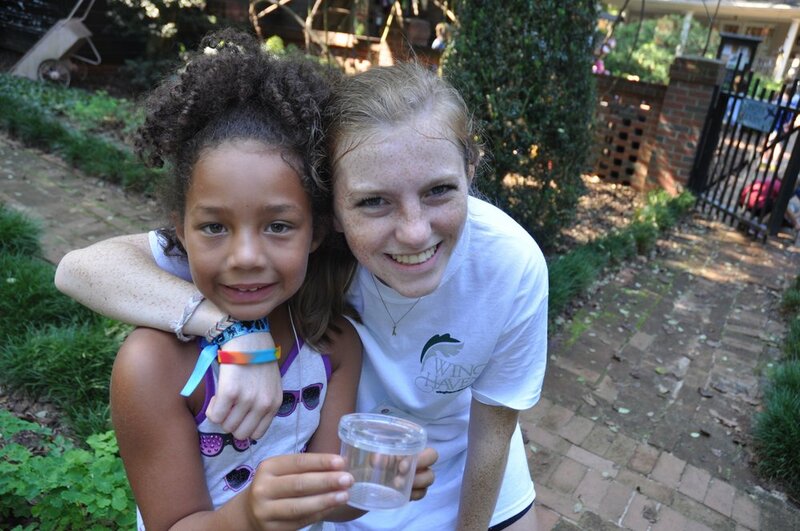 Guide: Roam our hands-on, exploratory gardens, engaging with our young visitors and their families. Time: Shifts available Wednesdays through Saturdays, 10am - 5pm. Elizabeth Lawrence Archives: This historically significant house and experimental garden is one of the country’s rare gems. Maintain a growing collection of books, journals, manuscripts, and photographs, as well as help with digitization and record-keeping. Training provided. Times: 1st and 3rd Thursdays, 1:30-3:30 p.m. Event & Program Planning: Assist staff with planning our various lectures, workshops, social events, and educational programs for any age. Times: Volunteer on a regular or as-needed basis. Fall Fundraisers (Wing Haven Symposium & Farm to Table Dinner): Are you a party planner? Assist our Development Director and Executive Director with planning, publicity and underwriting of these major fundraisers. Each is biennial and takes place in the fall. Times: The months/weeks leading up to fall events. Hospitality: Like to cook? We need you to help prepare food, set up or serve at: Christmas Candlelight Party, Benefactor Event, Gardeners’ Garden Tour, Lecture Series, Patron's Party, Plant Sales. If you have selected another committee you can still sign up for Hospitality because we always need lots of food! Times: As needed for events; see event page for dates. Office Support: Want to know what is happening at Wing Haven? Come join the activity at the hub of the organization: mailings, phones, program materials, and other administrative duties. Times: Volunteer on a regular or as-needed basis. Publicity: Connect with local and national media outlets by crafting press releases and story pitches. Previous marketing experience preferred. Times: As needed.